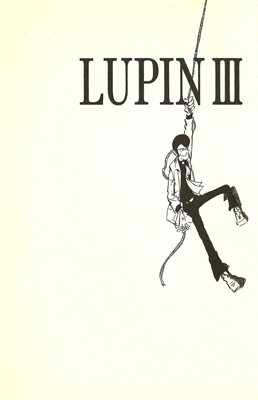 International man of mystery and master thief extraordinaire, Lupin III comes from a long line of high stakes bandits, all committed to stealing from the rich and giving to themselves. Fortunately, Lupin tends to avoid robbing society's virtuous and, instead, targets some pretty shady characters. Of course, he partners with some pretty shady characters as well: Daisuke Jigen is an ex-mafia hit man who carries himself with a somber demeanor, his trademark black fedora tilted forward to hide his eyes. Goemon Ishikawa is a cipher-like swordsman with samurai-ish overtones who mysteriously fades in and out of Lupin's exploits. Fujiko Mine is the object of Lupin's affections, but, since she is a thief herself, the duo's romance more than occasionally clashes with their competition for big scores. The global police force, Interpol, and in particular the tenacious Inspector Zenigata, long to capture Lupin and his gang. Zenigata's relationship with the eponymous master thief is a complicated one, characterized by mutual respect laced with utter disdain. The two have even worked together when it's served both their interests, but they understand that when the crisis ends, they must resume their former wariness and animosity toward each other.